(WEBPUBLICA) New York – The Trump administration has accused Russia of “cheating” on the terms of a treaty on nuclear missiles. Europe could face serious security consequences if Washington carries through on a threat to withdraw from the pact, DW has reported. 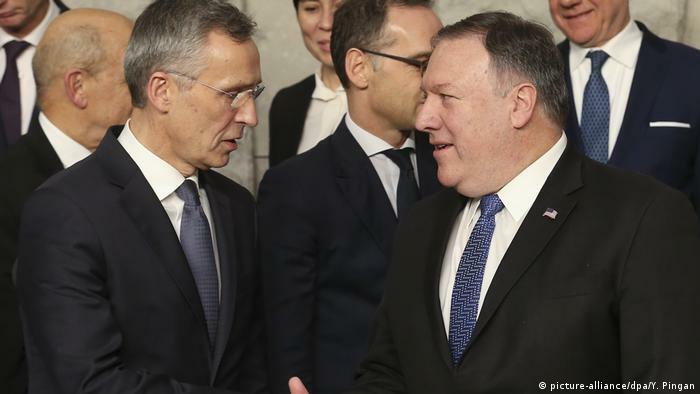 NATO foreign ministers backed the Trump administration’s stance over a landmark missile treaty with Russia when they met in Brussels Tuesday. At issue is a new Russian missile system — known as both the 9M729 and SSC-8 — that is nuclear-capable and violates the treaty’s ban on ground-based missiles with a range between 500 and 5,500 kilometers (311-3,418 miles). Pompeo said that Russia is in “material breach” of the contract. The INF treaty was a US-Soviet agreement aimed at reducing the superpowers’ nuclear arsenal. It remained in force after the collapse of the Soviet Union in 1991. Europe has been rattled by the prospects of the Russian system as it would give Moscow the ability to launch essentially undetectable attacks on European cities. That fact, says NATO, would dramatically shift its security calculus on the continent. Read more: INF Treaty: Would US dropout begin an arms race with China?